At the Killino Firm, our Philadelphia brain injury lawyers can help you recover compensation to cover the medical and treatment costs of your injuries. We are committed to fighting aggressively on behalf of injured victims and families, and strive to make sure our clients recover enough compensation to pay for the highest-quality brain injury treatments possible. Acute Hospitals: Acute hospitals provide emergency and early treatments to stabilize current complications and help reduce the risk of future complications caused by brain injuries. Rehabilitation Units and Hospitals: Because of the nature of the injuries, it is important for brain injury patients to receive rehabilitation treatments by a team of nurses, therapists and doctors who specialize in brain injuries. Of course, required treatment options will vary on the severity of the brain injury, the age of the patient, and other factors such as whether the patient has family members who can assist with care. Also known as cerebral hypoxia and hypoxic-anoxic injuries (HAI), anoxic brain injuries are caused by total lack of oxygen to the brain. Anoxic brain injuries are catastrophic and life-threatening injuries that can result in cognitive problems and permanent disabilities. Cognitive complications caused by anoxic brain injuries may include short-term memory loss, difficulty saying or understanding certain words or phrases, vision problems, lack of coordination, and an inability to perform day-to-day tasks. 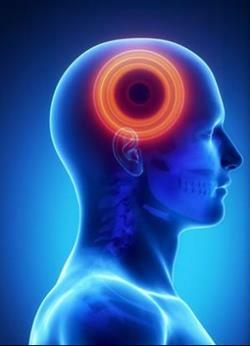 The term hypoxic brain injury refers to partial lack of oxygen to the brain. Treatment options for hypoxic brain injuries are similar to those available for anoxic injuries, and will vary depending on the severity of the injury. For more information about the different brain injury treatment options, or to learn more about obtaining compensation for your injury, contact a Philadelphia brain injury attorney.